Obituary for Pamelia Fletcher-Baloue | Sykes Funeral Home & Crematory, Inc.
Pamelia Janice Fletcher-Baloue, age 67 of Clarksville, Pamelia passed away on Friday, September 14, 2018 at her residence. She was born on March 24, 1951 in Chicago, IL to Raymond Fletcher, Sr. and Danyola Williamson. She was a member of the Catholic Church, lived in St. Carlos, Arizona for 20 years, and was a retired nurse of 20 years. 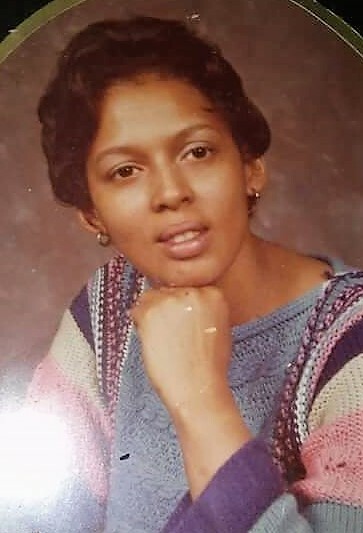 Pamelia is preceded in death by her parents and step-father, LeRoy Mays, Sr. and her brother, Raymond Fletcher, Jr. Pamelia is survived by her daughters, Daniell (Fred) Castleberry, Y'Lana Meadows, Keisha Norman, and sons, Daniel Holden, Dominique Dosela, and Albert Dosela. She is also survived by her sister LaRhonda (Reggie) Washington, and her brothers LeRoy Mays, Jr. and Emmanuel Mays, her nine grandchildren and host of nieces and nephews. Please visit Pamelia's guestbook at www.sykesfuneralhome.com and share a memory.